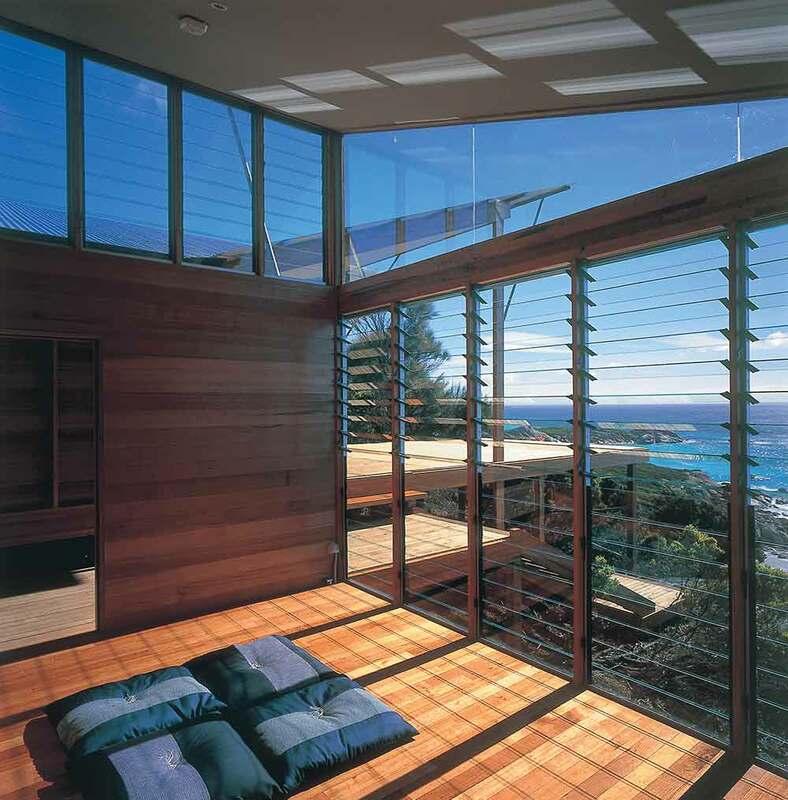 A triumph of modern architecture, Bay of Fires Lodge manages that most difficult task; offering you style and luxury, whilst projecting you into the great outdoors. Poised on the airy heights of a coastal hilltop, Bay of Fires Lodge introduces you to the surrounding National Park via the medium of its superlative views. Unfolded beneath you is the ocean, rolling in ceaseless motion. Stretching away on either side of you is a broad ribbon of sand and rocks – you could walk along it for a total of 20 km without reaching any other building. And behind you is a landscape of tall trees and dense vegetation – an area of outstanding significance to the Aboriginal community. 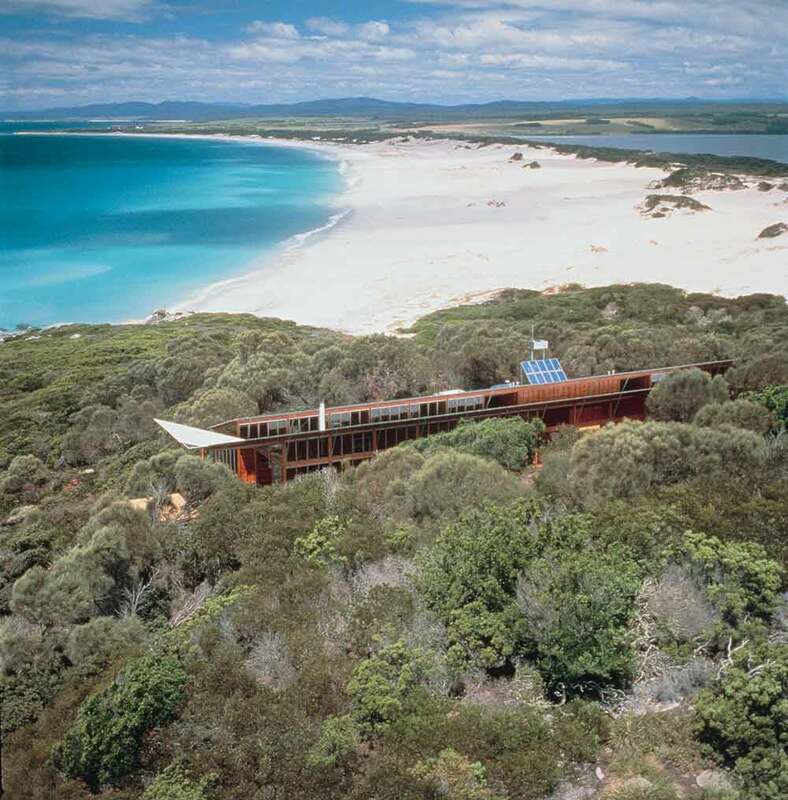 Bay of Fires Lodge is a worthy stop on your luxury, tailor-made holiday to Australia, especially if you’re an eco-traveller. 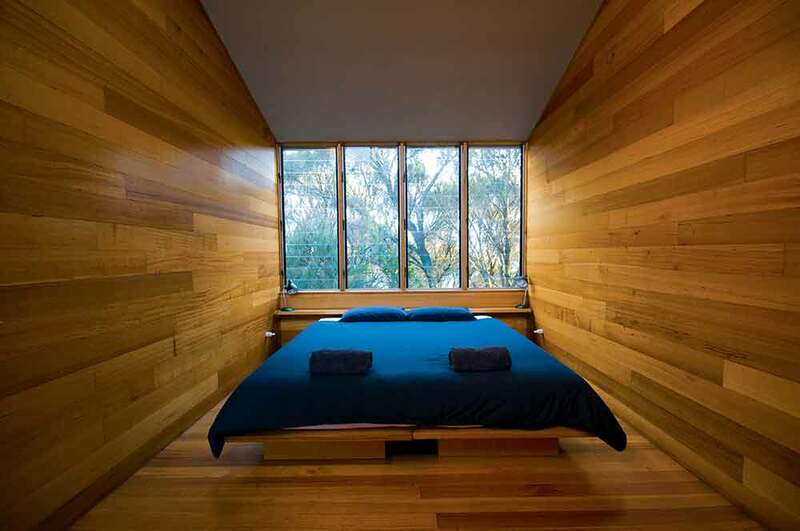 It was architecturally designed specifically to connect you with nature, and built using Tasmanian hardwood and plantation pine.